Jalapeno is currently in training. Senorita competed in the 1.50m jumping divisions with Femke van den Bosch. 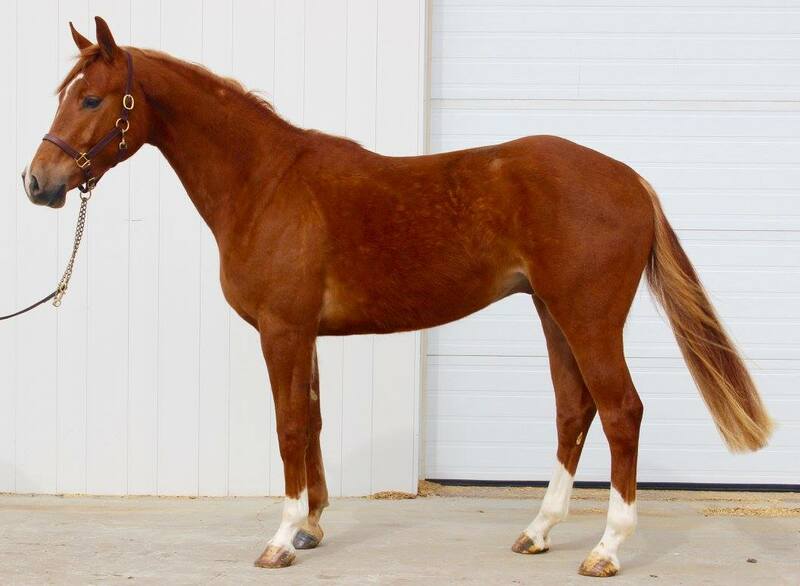 She is the dam of the late CWHBA Approved stallion Whirlwind and foal futurity winner - Aflame sired by Sandstorm, who also won the 5 year olds at Anderson Ranch in 2010. Senorita's half brother Don Porfirio sired by Indoctro represented Brazil in show jumping at the 2008 Beijing Olympics. Carambole campaigns at Grand Prix level show jumping with Willem Greve. In 2013, the pair were part of the winning Nations Cup team at Copenhagen, and represented Holland at the European Championships. Carambole celebrated the 2015 season in great style, winning back-to-back Grand Prix in Drachten and Amsterdam. In March 2016, Carambole was 3rd in the Rolex Grand Prix in Rotterdam.